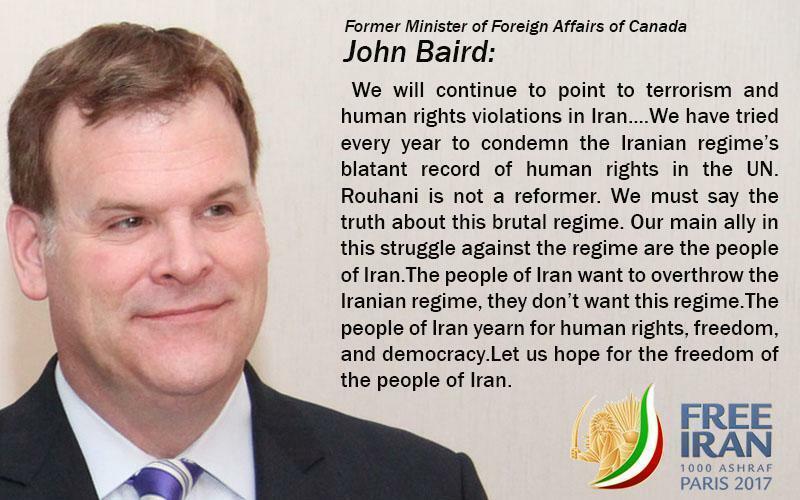 We will continue to point to terrorism and human rights violations in Iran….We have tried every year to condemn the Iranian regime’s blatant record of human rights in the UN. Rouhani is not a reformer. We must say the truth about this brutal regime. Our main ally in this struggle against the regime are the people of Iran. The people of want to overthrow the Iranian regime, they don’t want this regime. The people of Iran yearn for human rights, freedom, and democracy. Let us hope for the freedom of the people of Iran.